A permanent dwelling provides stability in an uncertain world and is a huge step on the road out of pervasive poverty. Owning a home brings hope for a better life. Hope brings confidence to reach for that life. A secure place to live, one that isn’t going to literally blow away with the next stiff wind, builds family life and encourages learning. Education, of course, brings better opportunities for work and an improved life in the future. The most important and far-reaching result of building a home is spiritual. Here is a practical way to demonstrate the love of God to people who need to have a chance to see and experience it. We build these homes from our very own fabricated blocks. These homes measure 25.6x32.5 and have 2 bedrooms, bathroom, kitchen, dining and living area as well as an outdoor wash station and covered patio. We also include basic electrical and plumbing. It's all about lumber here. 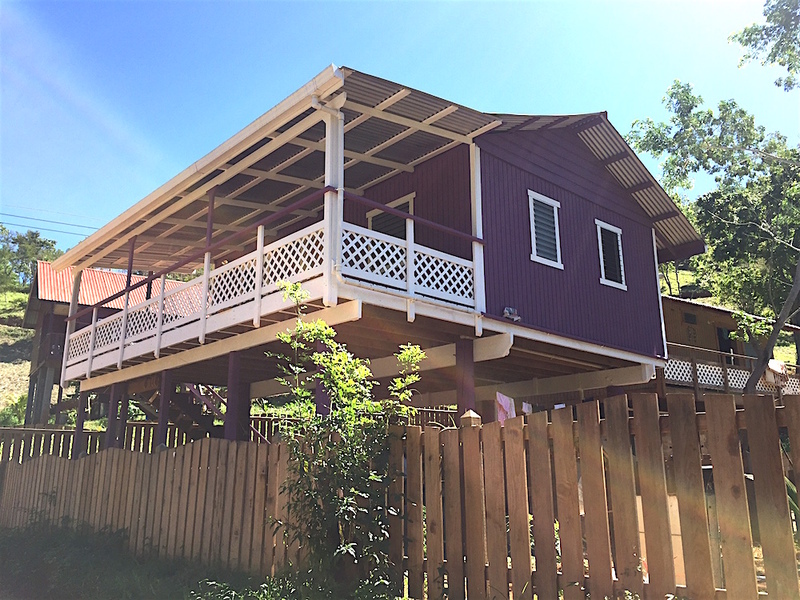 Our standard homes are 16x24, built on stilts and include 2 bedrooms, a bathroom, kitchen, dining and living area, as well as s small, covered porch. In addition, all basic electrical and plumbing is included. There are many add-ons that are available. Our newest homes are also constructed using our unique fabricated blocks. The house measures 18 x 24 and features 2 bedrooms, 1full bathroom, dining and living areas as well as all electrical and plumbing. Both a septic tank and water holding tank are included.